Plays along Buck Creek and the ponds of Snyder Park. Water in play on most holes. Short tees on #1, 2, 4, and 17 eliminate some water carries. Practice basket is just past #2, by the parking lot. I-70; exit 52B. Go on US-68N for 2 miles to the OH-4 / US-40 E exit. Use the left lane and take the first left onto Snyder St. Parking is just past the green bridge across the creek. 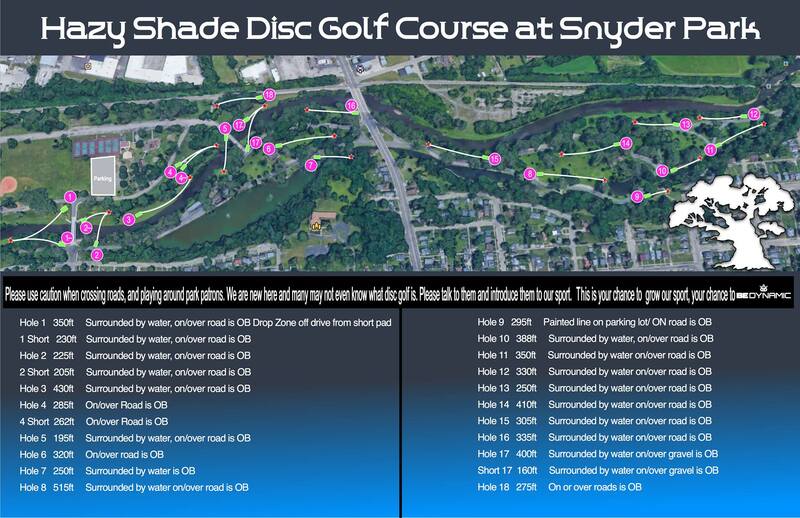 Have you played at Hazy Shade Disc Golf Course? Be the first person to review this course!